A garden diary written by a full time father, therapist, and part time farmer. My gardening style this year has been plant, watch, and pick. As work has become more of a priority this year, my passion for gardening has been muffled by job opportunity and a new member of my family. I can't say that I regret the changes, but I look forward to a time when I can get my hands dirtier than what they have been. The things that have worked in my favor is that the beans that I chose to grow have been easy to maintain as they don't require much of anything. I haven't had to water my plants because mother nature is doing her part. The saddest part of my summer was the loss of one of my chickens. I had some guilt for not realizing she was dead until 2 days after it most likely happened. Not to be gross, but summer heat + dead chicken = stank, not stink, but stank! 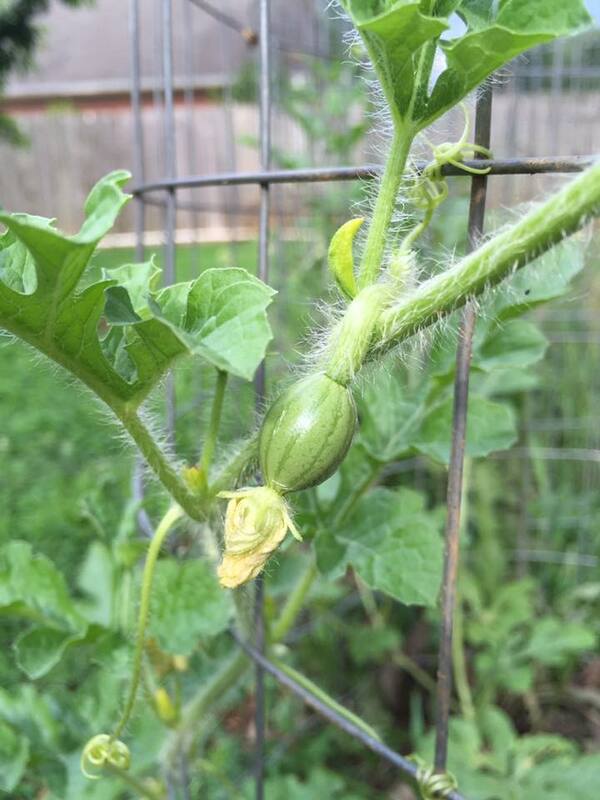 With loss, there are new things happening as I am growing watermelons for the first time this year and I'm hopeful that they get big and juicy. The parsley from last year has been flowering like crazy and flies love it for some reason. I have to admit it does have a pungent odor which might be what draws the flies to it. I haven't been picking my huge collards, but luckily my chickens have been enjoying the bounty. My gardening style changing from having one to not having one at all has allowed lovely weeds to crop up everywhere in my once beautiful pathways. Looks like your garden is off to a good start. So sorry to hear about the loss of your chicken. We used to live on a farm and the animals would often become like our pets. I stopped over from the Chicken Chick blog hop. Thanks for stopping by! I visited your website and it looks like you and your husband are enjoying your life together. Cheers! It happens, just hope I don't lose any more chickens any time soon. Have your watermelons starting showing themselves yet? Gardening is spiritual for me, enough said.